OAKLAND, Calif. -- The Dallas Mavericks are on the verge of adding a pair of Golden State Warriors -- forward Harrison Barnes and center Andrew Bogut -- in the wake of Kevin Durant's decision, according to league sources. The Warriors and Mavs have agreed to a trade that will send Bogut into Dallas' cap space, according to league sources. The Mavs also are trying to complete their previously reported four-year, $94 million maximum deal with Harrison Barnes. Sources told ESPN that the Warriors will renounce their rights to Barnes as a restricted free agent with Durant heading to Golden State, meaning there will be no three-day waiting period while his previous team ponders whether to match the offer. The Warriors need to shed Bogut's $11 million salary to create cap space to sign Durant to a two-year, $54.3 million deal. Sources say the Warriors are inclined to send Bogut, a good friend of Barnes', to a destination he likes. Dallas, which acquired center Zaza Pachulia from the Milwaukee Bucks in a similar salary dump last summer, would fill a need at starting center with a proven veteran on an expiring contract. 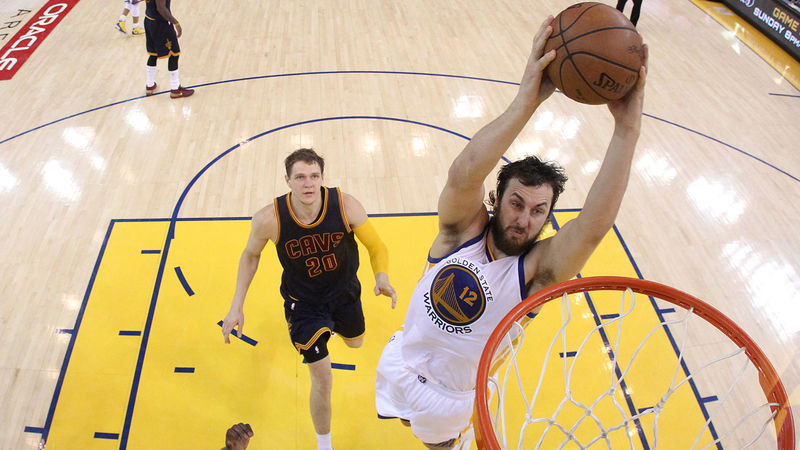 Bogut, 31, suffered bone bruises to his proximal tibia and distal femur, two major bones in the leg during Game 5 of the NBA Finals and missed the final two games of the series against the Cleveland Cavaliers. Click here for more stories about the Warriors.